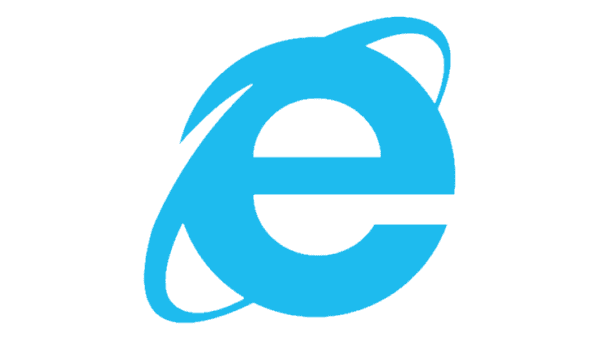 When opening Microsoft Internet Explorer the first time, it opens a new tab that prompts the user to set IE11 as the default web browser. You could simply select “No thanks“, but it could still be an annoyance for other users who use the computer in the future. It’s especially annoying in enterprise environments. Disable the prompt with these steps. Select the “Start” button, then type “Internet Options“. Scroll down a bit to the “Browsing” section. Check or uncheck the “Tell me if Internet Explorer is not the default web browser” as desired. Press the “Start” button, then type “cmd“. Right-click “Command Prompt“, then choose “Run as administrator“. Note: If you copy and paste the above command, the quotes might not paste correctly. Type it out if it’s not working or retype the quotes. 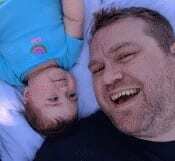 Hold the Windows Key and press “R” to bring up the Windows Run dialog. Type “regedit” then press “Enter“. Set the “Check_Associations” value to “No“. If you don’t see “Check_Associations“, right-click “Main“, and choose “New” > “String Value“, and create a new “Check_Associations“. Type “gpedit.msc” then press “Enter“. 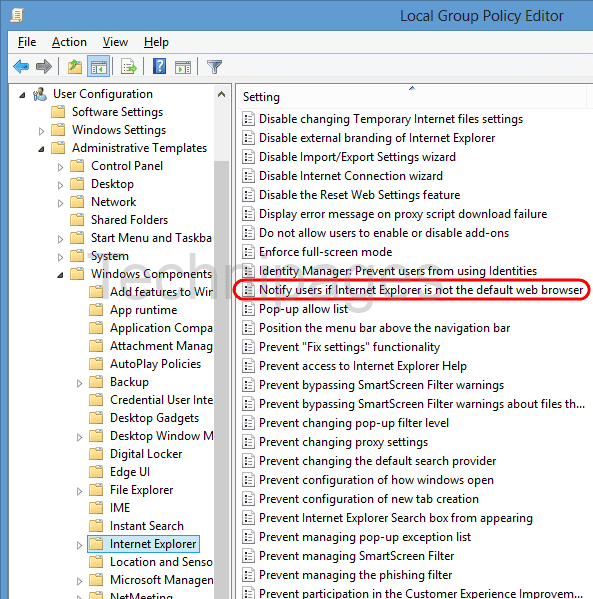 The “Local Group Policy Editor” is displayed. Navigate to “User Configuration” > “Administrative Templates” > “Windows Components” > “Internet Explorer“. 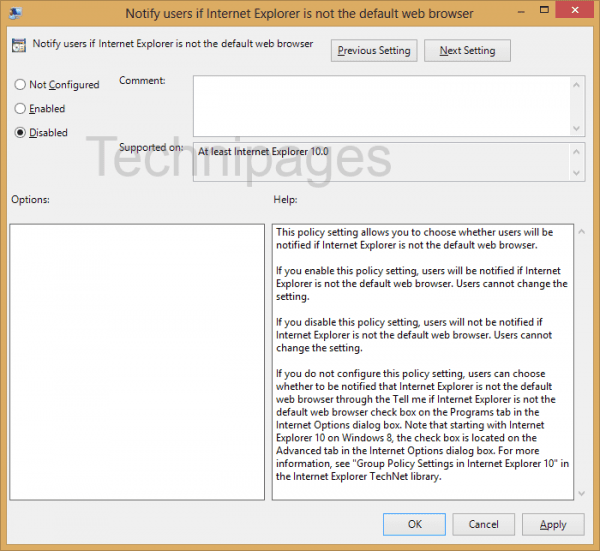 Open the “Notify users if Internet Explorer is not the default web browser selection“. Set the policy to “Disabled“, then select “OK“. 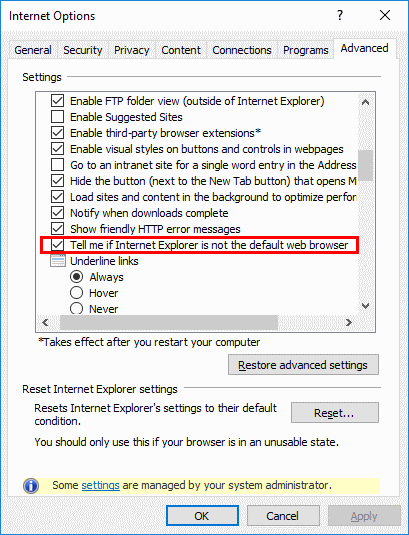 Now any user who logs into the computer and uses IE11 will no longer be pestered by the annoying prompt.